EXCLUSIVE AT NET-A-PORTER.COM. 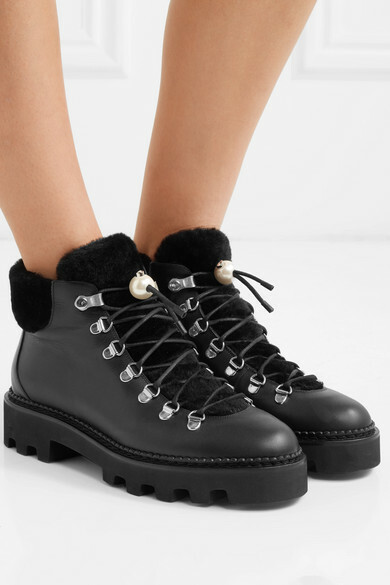 Hiking boots are huge this season, which is why we asked Nicholas Kirkwood to design a pair especially for our edit. They're made from leather with an eyelet-accented lace-up front topped with a signature faux pearl. 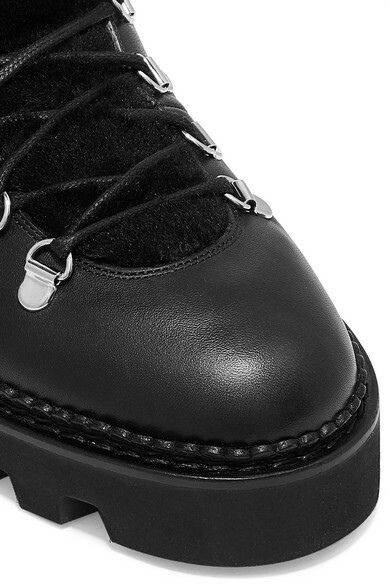 They rest on chunky rubber soles and are lined with shearling to keep your feet cozy on chilly days. 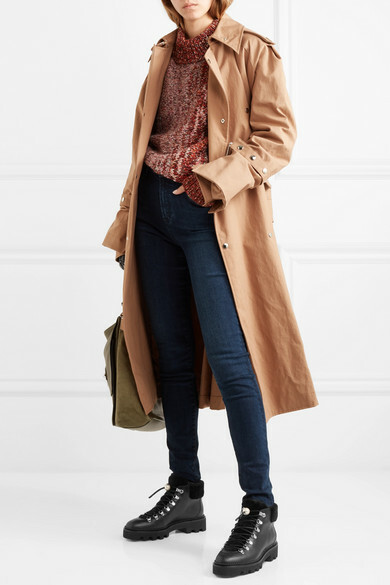 Shown here with: J Brand Jeans, Victoria Beckham Sweater, Acne Studios Trench coat, JW Anderson Shoulder Bag.